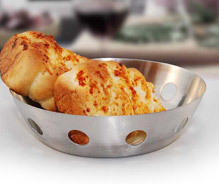 Offering a nice and safe space for keeping the breads is our adroitly designed range of stainless steel bread baskets, which is in much demand in domestic and international arena. Available in both plain as well as colorful look, they have the designs of round and rectangular holes on the body. These Stainless Steel Bread Baskets can be tailor made as per the drawings and specifications provided by our clients in terms of patterns and colors. 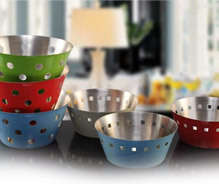 These colorful and mesmerizing stainless steel bread baskets are sure to enhance the aesthetics of dining spaces while adding a touch of class to the surroundings. The rectangular and circular holes on its sides also help in maintaining the freshness of just baked bread loafs. 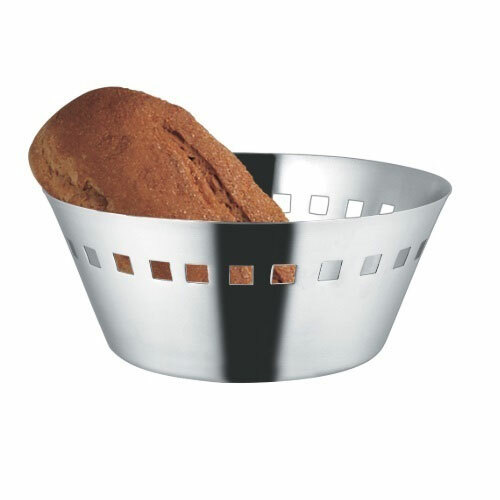 Made of finest quality stainless steel, this perforated basket has low edges that makes it ideal for bakery fresh bread loafs. 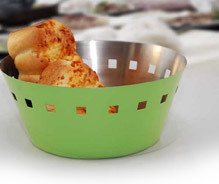 We offer fine quality stainless steel breadbasket in bright colours at an affordable price. Although available in blue, red, blue, green and off-white colours, we even offer you the colour of your choice. 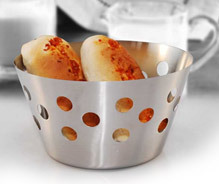 This is an exclusive stainless steel bread basket is specially designed for those, who want only the best – elegantly designed with round and straight vertical holes on side surface, this piece is available at the most reasonable rates. 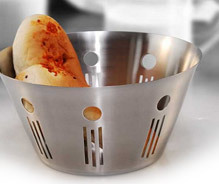 These round hole based stainless steel baskets are best for keeping the breads fresh while serving on the table. Its plain refreshing looks and smooth edges also add to the decor of the dining tables and meet the demands of serving in elegance. This is an exclusive piece of decorative metal breadbasket with three round holes punched diagonally and parallel to each other. 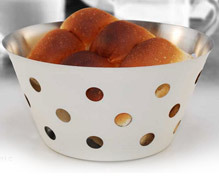 These beautifully crafted stainless steel bread baskets come with rectangular perforations on the sides. Its exclusive designs and smooth edges allow for comfortable handling while serving the soft and fresh baked breads over the table. The finest quality breadbasket in stainless steel has smaller square holes punched as a single border in the upper edges. This is available in a variety of colors. 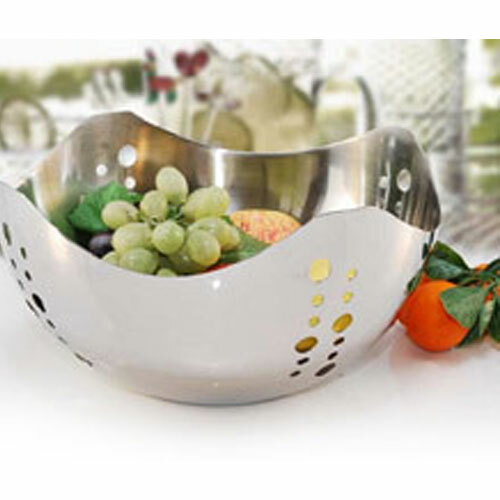 Offering a nice and safe space for keeping the fruits is our adroitly designed range of Stainless Steel Fruit Baskets, which is in much demand in domestic and international arena. Available in both plain as well as colorful look, they have the designs of round and rectangular holes on the body.